All wood flooring that is one piece of wood from top to bottom is considered solid flooring. It’s available in a wide variety of species, stains and finishes and in a range of widths and thickness. Widths are most commonly between 90mm to 150mm and the width of the board can totally change the ‘look’ of a room. Solid wood flooring has to be fixed to a sub-floor. Nearly all problems relating to solid wood flooring are due to improper installation and sub-floor preparation. That is why it is important when installing solid wood flooring that you work with a company who has decades of experience.  We at Forrestal Flooring will create the right subfloor for your chosen timber. The most common species of flooring is Oak/White Oak, Beech and Maple, but you can also choose more exotic species such as Merbau, Iroko and Wenge. Each come in a range of grades from clear to rustic each with its own individual characteristics in colour and grain markings. Solid wood floors are the finest, providing longevity and durability which exceeds all other types of wood flooring because of its thicker wear layer. Solid wood floors also contribute to the overall structural strength of a home and even when your floor ages with time, you can achieve an entirely new look by sanding, applying a new stain or finish, making it appear new again every time. We can supply and fit wood flooring to your commercial or residential property. Contact us for a free, no obligation quote.